I often experiment with new ideas. This one I saw being demonstrated by Emma Parkin-Wilson at the Stampin' Up!® Wellington regionals this year so I knew I was pretty safe giving it a go. Warning: - Only try this with a Big Shot using Sizzix Originals and Bigz dies. They need to be steel rule dies to cut anything other than paper or cardstock. 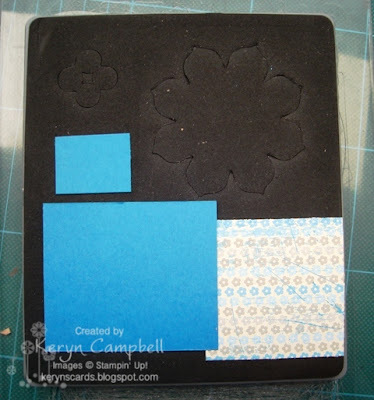 I cut my balsa wood using my Craft and Rubber Scissors to approx 7x7cms to fit to largest flower on the Blossom Party die. Cut a multi purpose adhesive sheet and scrap of dsp to 7x7cms and stick the dsp to the balsa wood. 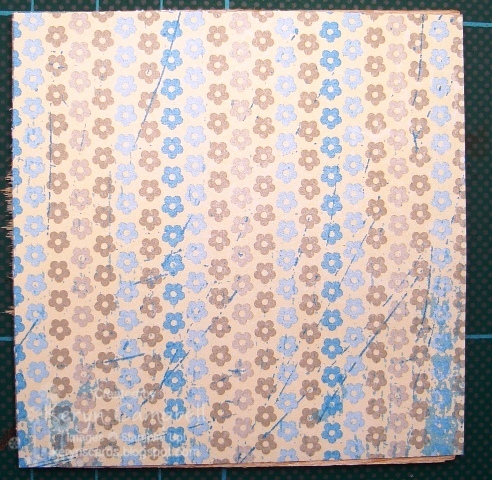 Run through the Big Shot using the cutting plates and the die in the usual fashion. You may have to ease it through a little bit. 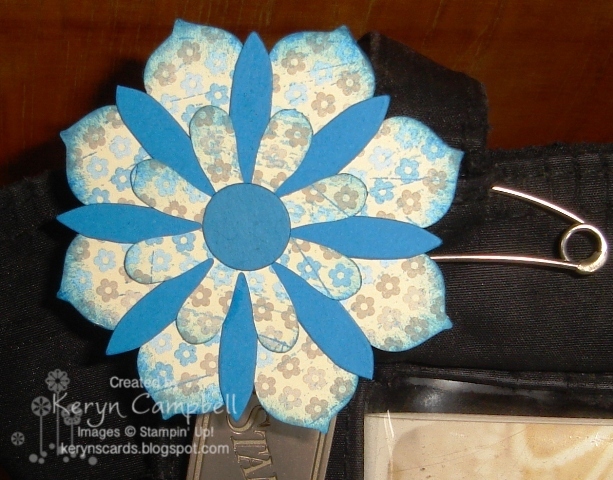 Place your scraps of cardstock and DSP over the flower parts in the die that you want to be cut and run through the Big Shot in the usual manner. 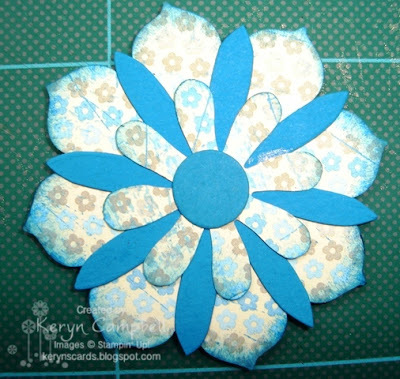 This is a great way to use up scraps and not waste full sheets of cardstock etc. 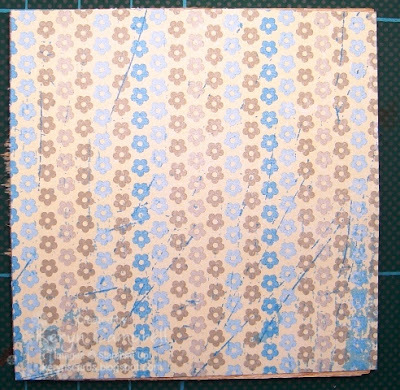 I sponged the edges of the DSP to hide the edges of the balsa wood and to make it stand out a bit more. Then I used 2 way glue to stick the pieces together so when attached to my handbag in the picture at the top there wasn't loose pieces to get caught and bent. 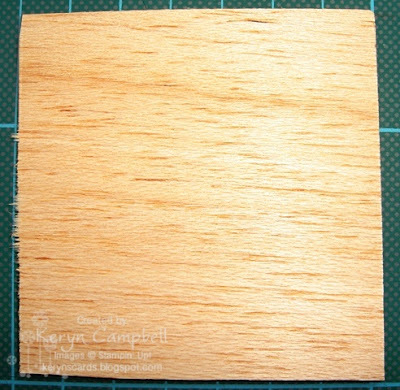 Please leave me comments with any question you have and I'd love to see links to any projects you've made using this tutorial.